The Departement of Bouches du Rhone - Pop. : 20.000 h.
Situated in the south of the Departmen, between Aix en Provence and Marseilles, Les Pennes Mirabeau is also only a stone’s throw from Marignane and the airport. There are two sides to Les Pennes Mirabeau... the most well-known is that of the huge commercial and industrial area which you will travel through from Aix-Marseille-Marignane motorway. Populated by business parks and commercial districts, dotted with industrial warehouses and office blocks, this area is not really of any interest to the tourist. 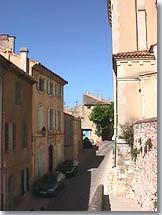 The lesser known and more interesting part of Les Pennes Mirabeau is the old village. This is slightly elevated, beyond the industrial estate (going towards Marignane or Vitrolles). The village is set back a little from the N113, and stretches along a ridge of limestone crags. Some houses and small blocks of flats are constructed right against the rock and the centre of the village is surrounded by a number of small residential estates. 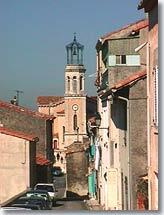 The centre of Les Pennes Mirabeau is typical of the villages of the Midi, with its long main street, its little shops, its bars (and their regulars...), its little square and its lively atmosphere. 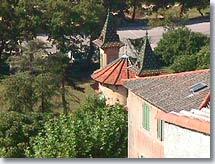 You can’t miss the lovely bell-tower, with its little paved square, which rises up at the foot of a small mound. Higher up, a few metres beyond the church, you can enjoy a vast panoramic view: in the distance, behind Marseilles, you can see the sea, to the south-west is the Estaque chain, to the east the Etoile chain and to the north-west you will spot Marseilles-Marignane airport. Saint Victoret (5 km), Marignane (6 km), Septeme les Vallons (6 km), Vitrolles (9 km).